The last, and greatest, of Purcell’s four Odes to the Christian saint, Hail! Bright Cecilia was composed to a text by Nicholas Brady in 1692 in honour of the feast day of Saint Cecilia, patron saint of musicians. It is a celebratory work comprised of masterful instrumental sections, majestic choruses and varied solos, duets and trios that will serve as a fitting close to the Festival. This work reveals the unparalleled richness of the composer’s musical invention and explains why, more than three hundred years later, Henry Purcell is still regarded as one of the Baroque period’s greatest composers. Born in Acadia, Suzie LeBlanc fell in love with the Baroque early in life. Now an international star, the charismatic soprano is well-known for her passionate performances of Early Music, art song, contemporary music and Acadian traditional repertoire. She has sung with many of the world’s leading early music ensembles in concert and opera performances as well as on film and on disc. Concerts have taken her to festivals all over the world and on the opera stage, she has performed for De Nederlandse Opera, Festival de Beaune, Opéra de Montréal, the Boston Early Music Festival, Tanglewood, Festival Vancouver and Early Music Vancouver. Recently appointed to the Order of Canada for her contribution to Acadian culture and to the performance of Early Music, she has also earned four honorary doctorates and a career grant from the Conseil des Arts du Québec. Suzie’s recordings have received several prestigious awards, including a Grammy award for a recording of Lully’s Thésée with the Boston Early Music Festival, an Opus awards for best world music recording – “Tempi con Variazioni” – and best contemporary album, for a disc of early songs by Olivier Messiaen. In 2014, she was awarded ECMA’s Best Classical Album (2014) for “I am in need of music”, which was also a finalist for the Lieutenant Governor of Nova Scotia Masterworks Award. In 2019, she premiered MOUVANCE, a multidisciplinary work by Jerôme Blais supported by the Canada Council and made her debut as a conductor with the Studio de Musique Ancienne in a programme of music from 17th century Italian convents. She performed with Vancouver’s Elektra, Constantinople and toured Fiorè with Elinor Frey. She frequently performs with Ensemble Constantinople and Elinor Frey, celllist. Suzie is vocal coach and director of Cappella Antica at McGill University and the founder and co-artistic director of Le Nouvel Opéra, an organisation presenting early and contemporary chamber opera in Montreal. Dorothee Mields is one of the leading interpreters of 17th- and 18th-century music and is beloved by audiences and critics alike for her unique timbre and moving interpretations. She appears regularly with the Collegium Vocale Gent, Netherlands Bach Society, L’Orfeo Barockorchester, Freiburger Barockorchester, RIAS Kammerchor, Bach Collegium Japan, Orchestra of the 18th Century, Lautten Compagney Berlin, Tafelmusik Baro9ue Orchestra Toronto, The English Concert and Klangforum Wien under conductors such as Stefan Asbury, Beat Furrer, Mic hi Gaigg, Paul Goodwin, Philippe Herreweghe, Emilio Pomarico, Hans-Christoph Rademann, Andreas Spering, Masaaki Suzuki and Jos van Veldhoven. Dorothee Mields is a welcome guest at international festivals, including the Leipzig Bach Festival, Suntory Music Foundation Summer Festival in Japan, Boston Early Music Festival, Flanders Festival, Wiener Festwochen, the Handel Festival in Halle, Musikfestspiele Potsdam, Styriarte Graz, Niedersachsische Musiktage, Musikfest Bremen, Mainzer Musiksommer and Mosel Musikfest. She is a devoted chamber musician and offers a range of highly interesting projects such as “Lord Nelson at the river Nile” (music by Haydn and contemporaries dealing with the battles of Lord Nelson), “White as Lillies was her Face” with songs by John Dowland combined with texts by Heinrich Heine, “Mort ex9uise, mort parfumee” with French impressionistic compositions, “Duft und Wahnsinn” (fragrance and lunacy) together with Hille Perl, viola da gamba, and Lee Santana, lute, as well as “Birds” with flutist Stefan Temmingh. A steadily growing discography with several award-winning recordings documents her artistic achievements. “Inspired by Song” and “Birds” with Stefan Temmingh, “Handel” with Hille Perl, Monteverdi “La dolce vita” with the Lautten Compagney Berlin and Wolfgang Katschner (all dhm), Bach “Kantaten fur Solo-Sopran” with L’Orfeo Barockorchester and Michi Gaigg and Boccherini “Sta bat mater” with the Salagon Quartett (both Carus) have been especially well received. In 2018/19, Dorothee Mields is artist in residence at the Heinrich-Schutz-Musikfest. Further upcoming highlights include appearances in Japan with the RIAS Kammerchor, at the Wigmore Hall with The English Concert, with Seattle Symphony, and at the Internationale Orgelwoche Nurnberg, as well as tours with Collegium Vocale Gent, Freiburger Barockorchester, Gli Angeli Geneve and Holland Baroque. My mother always sang to me when I was a small child, which is why I began to sing. Her voice for me was intensely bound together with emotion, which will always remain with me. As a cathedral chorister, this emotional basis became intertwined with a fascination for text and symbolism in music, expanded upon and deepened during studies in Oxford and Basel. Remaining faithful to these origins over nearly twenty years in the profession, I continue to develop as a singer, musician and human, changed and enriched by the joy and sadness which life brings. Nowadays you are most likely to hear me somewhere with Bach, although I also love to sing other music. When not performing, you will find me at home with my family, reading something geeky, wasting time on the internet, or cooking. Sharing and exchanging with other people, be it music, food, or conversation, is one of the great pleasures of life. Having originally trained and worked as a chef, British tenor Samuel Boden changed his career path and studied singing under John Wakefield at Trinity Laban Conservatoire. He received numerous awards including the Ricordi Opera Prize and the Derek Butler London Prize as well as awards from the Harold Hyam Wingate Foundation, the Samling Foundation and the Arts and Humanities Research Council. Throughout college and after leaving in 2008, he worked extensively in the UK and internationally with many leading ensembles, including Ex Cathedra, The Gabrieli Consort, The Sixteen and the Orchestra of the Age of Enlightenment. He has since become increasingly in demand as a soloist, which has led to a variety of experience, both on the concert platform and on the opera stage, performing music from a wide range of styles and eras. This ranges from Roman laments and Elizabethan lute songs, through to West Side Story for the 50th Anniversary World Tour – however, his grounding in choral music has contributed to his deeper involvement with, and love for, early music, and he has performed operas and concerts of this repertoire extensively at home and abroad. Early opera engagements include The Fairy Queen for Theater St Gallen and Glyndebourne; Anfinomo The Return of Ulysses for English National Opera at the Young Vic; The Indian Queen at Opéra Théâtre de Métropole, Metz and the title role of Cavalli L’Ormindo for the Royal Opera/Shakespeare’s Globe collaboration in their inaugural season at the Sam Wanamaker Playhouse. Samuel’s love of languages, most notably French, has led to an interest in French Baroque. As a high light lyric tenor, he has been exploring the “Haute Contre” repertoire and enjoys a busy schedule of such performances. This repertoire has included the title role in Charpentier Actéon for Opéra de Dijon and Opéra de Lille / Emanuelle Haïm; Hippolyte Hippolyte et Aricie with Ensemble Pygmalion / Raphäel Pichon, and Abaris Les Boréadeswith Les Musiciens du Louvre / Marc Minkowski at the Aix en Provence festival. On the concert platform Samuel has appeared with the BBC Symphony Orchestra for Zemlinsky with John Storgards, Argento with Giancarlo Guerro and Carl Rütti with Stephen Jackson; Stravinsky with Sakari Oramo at The Proms; the Hallé Orchestra / Robert Howarth for Messiah; the Royal Northern Sinfonia / Thomas Zehetmair for Mozart and Britten; the Bournemouth Symphony Orchestra / Curnyn – Handel; the Bilbao Symphony Orchestra / Howarth; the Frankfurt Radio Orchestra / Emmanuelle Haïm for Rameau and Purcell; Kristiansand Symphony Orchestra / Nicholas Kraemer with Bach and Handel; The Monteverdi Choir / John Eliot Gardiner for Bach; Collegium Vocale Gent / Philippe Herreweghe with Lassus, Monteverdi and Purcell; Le Concert d’Astrée / Haïm for Monteverdi and Charpentier and Ex Cathedra / Jeffrey Skidmore – Bach, Carissimi, Charpentier. In current recital programmes Samuel performs lute song repertoire with Paula Chateaueuf and Britten, Fauré, Debussy and Hahn with Iris Torossian, harp. Samuel’s growing discography encompasses works by Monteverdi, Charpentier, Daniel Purcell, Rameau, Bach alongside Tansy Davies and Alec Roth on Hyperion, Erato, Archiv, OAE Released, Nimbus, Resonus Classics, NMC and Signum. 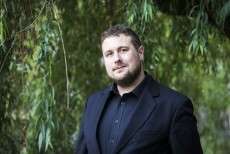 Amongst his recent and forthcoming engagements are Bach with the Rotterdam Philharmonic / Natalie Stutzmann, the title role Rameau Pigmalion with Pinchgut Opera Sydney, Telemaco Il Ritorno d’Ulisse in Patria at The Round House for the Royal Opera House and creating a role in George Benjamin’s Lessons in love and violence at the Royal Opera House, Covent Garden followed by performances in Amsterdam, Hamburg, Lyon and Paris. Outside of his performance life, Samuel is an extreme sports enthusiast and enjoys snowboarding, rock climbing and downhill mountain biking. Described as possessing “power and passion,” and “stylish elegance,” Sumner Thompson is in high demand on the concert and opera stage across North America and Europe. He has appeared as a soloist with many leading ensembles and orchestras including the Britten-Pears Orchestra, the National Symphony, the Boston Early Music Festival Orchestra, Apollo’s Fire, Pacific Baroque Orchestra, Portland Baroque Orchestra, Les Voix Baroques, The Handel and Haydn Society, Tafelmusik, Arion Baroque Orchestra, Gli Angeli Genève, and the orchestras of Phoenix, Memphis, Indianapolis, Buffalo, and Charlotte. Recent engagements include a repeat performance of Handel’s Messiah with Boston’s Handel and Haydn Society, Monteverdi’s 1610 Vespers with the critically acclaimed Green Mountain Project, Britten’s War Requiem with the Boston Philharmonic, Bach’s St. John Passion at the National Cathedral, and the title role in Britten’s Saint Nicolas with Philadelphia Choral Arts. On the operatic stage he performed the role of El Dancaïro in Carmen with the Cincinnati Opera, and the role of Siegmund in a concert version of Act I of Wagner’s Die Walküre in Boston. Mr. Thompson can be heard on the Boston Early Music Festival’s Grammy-nominated recording of Lully’s Psyché on the CPO label, with the Handel and Haydn Society on their recording of Handel’s Messiah on the Coro label, and also with Les Voix Baroques on Canticum Canticorum, Carissimi Oratorios, and Humori, all on the ATMA label. In addition to his musical pursuits, Mr. Thompson spends his time restoring his 1885 Stick-style Victorian home, building various types of bass guitars, and entertaining his 4 year old daughter. Matthew Brook has appeared widely as a soloist, and has worked extensively with conductors such as Sir John Eliot Gardiner, Richard Hickox, Sir Charles Mackerras, Harry Christophers, Christophe Rousset, Paul McCreesh and Sir Mark Elder, and many ensembles including the Philharmonia, LSO, the St Petersburg Philharmonic,the RPO, Freiburg Baroque Orchestra, Orchestra of the Age of Enlightenment, the English Baroque Soloists, the Gabrieli Consort & Players, the Sixteen, the Royal Northern Sinfonia and Orchestre National de Lille. Symphony Orchestra, Bach’s Magnificat and Brahms’ Triumphlied with the Cincinnati Symphony Orchestra, Il Re di Scozia Ariodante with the Staatstheater Stuttgart and on tour with the English Concert, Bach’s B minor Mass at the Al Bustan Festival in Beirut and with Les Violons du Roy in Québec, Fauré’s Requiem with the Royal Philharmonic Orchestra, Mozart’s Requiem with the Fryderyk Chopin Institute in Warsaw, a tour of Bach cantatas with the Monteverdi Choir and Sir John Eliot Gardiner, and with the Nederlandse Bachvereniging and Early Music Vancouver, a tour of Bach’s St Matthew Passion with the Orchestra of the Age of Enlightenment, and with Gli Angeli Genève, Elgar’s The Dream of Gerontius with the Indianapolis Symphony Orchestra, Tippett’s A Child of Our Time at Festival St Denis, and the roles of Herod and Father in Berlioz’s L’Enfance du Christ with the Melbourne Symphony Orchestra and Sir Andrew Davis.